Biking is one of our most popular summer activities for members of all levels of cycling ability. 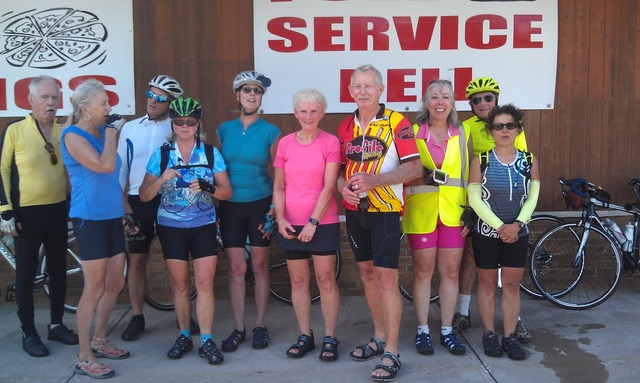 The Cycling Committee, consisting of Chair John Heslop, Donna Willis, Don Neugebauer, Anne Sonne, and John Sonne, has established a schedule of rides from mid-April through September that are rotated throughout the county. There are detailed maps available from the website that give rides for 4 levels of cycling from the short social riding to short, medium, and long rides that provide group riding at your level of cycling ability. The ride times and locations are posted on the Calendar as well as the venues following the rides for snacks and conversation. We use the Cycling Forum tab on the website to give you information in case of changes in weather and road conditions, or it you want to pose a question, or even have an online dialog with others who are interested in cycling. We also have a cycling email list that is sent two days prior to rides to give more information. If you have not received emails through this service previously, you must give your email address to John Sonne (pugdoc@mac.com).